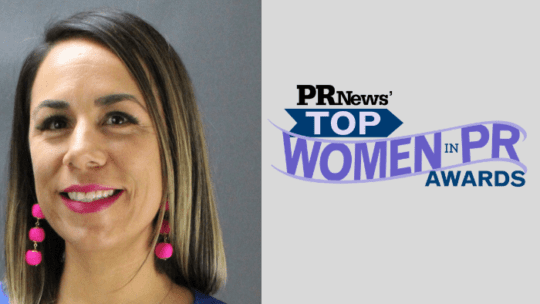 Each year, PR News celebrates the Top Women in PR, an elite group of communications professionals who have spearheaded highly successful campaigns and initiatives in recent months. They've also mentored colleagues, made innovative changes to their team structure and ideated some of the most creative PR plans in the business. Winners are judged based on their campaign objectives, successes and ROI over the last year, as well as influence within their organizations and the PR profession. PR News' 2019 Top Women in PR will be celebrated during a luncheon ceremony Jan. 25 at the Grand Hyatt in New York City. So, what does it take to be a Top Woman in PR? 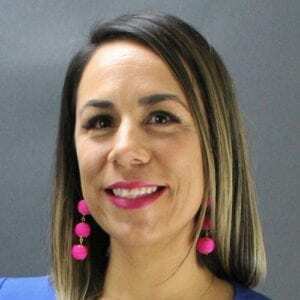 We sat down with Top Woman honoree Adriana Arvizo, external communications manager at Comcast. PR News: What are the top PR trends for 2019 that communicators need to be aware of? What skills will they need to hone? Adriana Arvizo: We are in an era where doing traditional media relations and having a strong social media strategy are not enough. PR professionals also have to be compelling storytellers. As a former journalist, sometimes I find myself feeling as if I'm back in the newsroom editing a video, writing a blog post or curating a photo slideshow. In my opinion, the skill PR professionals should sharpen is the art of storytelling through multimedia tactics, via innovative channels and from nuanced angles. PR News: What's your advice for female PR practitioners starting their first jobs in PR? AA: Identify mentors and learn the tips and tricks they use. Once you have identified one or more professionals you admire, pay attention to the precise skills and attributes that made you gravitate toward them. I have observed that successful people often have a series of habits that they practice on a daily basis. I have adopted several of these habits that I’ve learned from mentors throughout my career. On the other hand, the more established women in PR should not only mentor junior women in PR, but also be true champions of their growth and opportunities. It’s up to us to build and support the new generation of top women in PR. PR News: You've driven media strategy for Comcast around holidays and events like Black History Month, Lunar New Year and Hispanic Heritage Month. How have you ensured your content and stories stood out over the noise other brands create on the same subjects? AA: Our number one rule is to authentically connect with the community that we are celebrating. Before we land on a concept we conduct focus groups to ensure our messaging, visuals and overall concept is respectful, fun and ultimately valuable for the communities we serve. In campaigns, as in real life, consumers can see when you genuinely care and understand. We have also been intentional when partnering with well-established local organizations such as the Bay Area Black Journalists Association (BABJA) and the Asian American Journalist Association (AAJA) chapters in California. These hyperlocal grassroots organizations are already doing fantastic work, and we are delighted to partner with them to bring in resources and leverage their expertise and influential power. PR News: Can you share some of the strategy behind the immense windfall of engagement you won around Comcast's World Cup partnership? 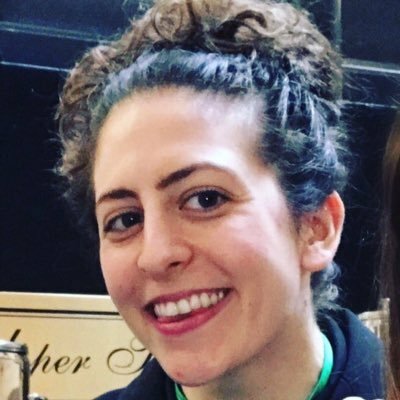 AA: Mom Owns Soccer was a unique and charming activation in partnership with We All Grow, the largest organization of Latina digital influencers in the country. The goal was to position Comcast products as the best platforms to experience the 2018 World Cup. After conducting research we decided to focus on women, because 40 percent of the soccer fan base in the U.S. is female and, according to the Consumer Electronics Association, in 61 percent of all consumer electronic purchases, a woman was involved in the purchasing process. Right before the World Cup started, nine Bay Area digital influencers attended a pampering event at the Xfinity CNET Smart House in San Francisco to get a preview of what Comcast had in store for the games. The influencers loved the event and information they learned during the product demos. In the end, everything was captured in a recap video for social media distribution. The activation resulted in 27 million social media impressions. We attribute the success of this partnership to finding a unique angle, backing it up with research and partnering with the right organization. PR News: What's your best piece of advice for aspiring Top Women in PR? AA: PR is a tough profession, and sometimes we are so dedicated to our work that we forget to do PR for ourselves. January is a great time to think about great wins of 2018, identify career goals in 2019, craft key messages and identify strategic stakeholders—preferably those with decision-making power over your career—and do PR for your personal brand. Also, try to have fun! Infuse some of your personality and dreams into your projects. Life is short and having fun at work is important. Celebrate PR News' 2019 Top Women in PR at a luncheon ceremony Jan. 25 at the Grand Hyatt in New York City.